Visitors to the Penedès wine region are spoilt for choice for private tours of wineries and vineyards. One of the iconic wine regions of Spain, the Penedès has an optimal climate and geographical position for wine growing. This is evidenced by the hundreds of wineries in the region that is nestled between the Mediterranean Sea to the south and the majestic Montserrat Mountain to the north. 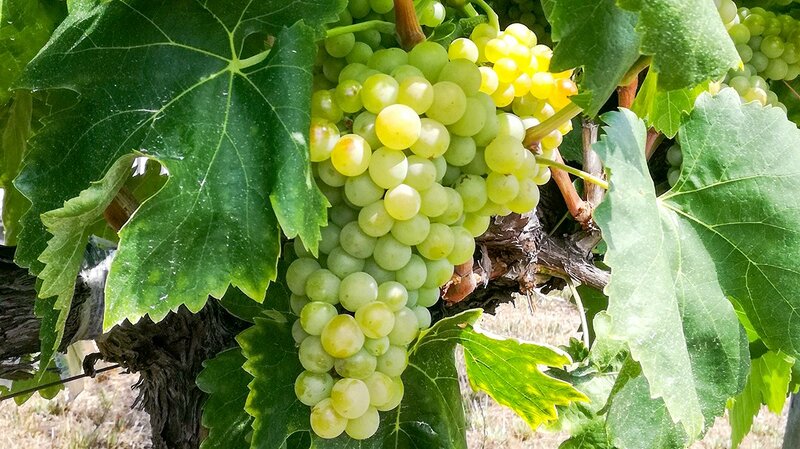 While the Penedès region is famous for Cava (Spanish Champagne), the wineries also produce some remarkable whites, reds and rosés. For our Archaeology of Wine Penedès Tour, we have a short list of personal favourites of organic, award winning wineries we like to visit, which is presented below. Each of these wineries is unique and appealing depending on the type of private wine tour you would like. The tour options include driving or walking through the vineyards, exploring the ancient underground wine cellars, or a combination of these. All of the tours, of course, include wine and Cava tastings. For those interested, technical tours on viticulture, oenology, technical tastings etc. are also available. While each tour and winery is unique, in each one you’ll experience first hand the enthusiasm and pride of the local wine producers for their wines and their use of traditional techniques. All our short-listed favourites are family-run wineries, some dating back 15 generations of wine making. Located on a high hillside overlooking the plain of Alt Penedès and Montserrat Mountain to the north, the Llopart winery in Subirats is steeped in the history of the Penedès wine region. In 1385 Bernardus Leopardi, a Llopart family’s ancestor, was granted vineyards in the present country estate of Can Llopart de Subirats (which is Catalan for ‘House of the Lloparts of Subirats’). For 400 years, the Llopart family lived and farmed in the area, producing the traditional agricultural Mediterranean products of grapes, wheat, and olives. By the end of the 18th century they dedicated themselves to wine production. The first bottling of their own wines on their estate was in 1887, and in the 1950s they started producing high quality craft Cavas, which continues to this day. During the private tour, your expert guide will introduce you to the history of the Llopart family in the region, and you’ll visit the modern winery which is nestled into the high hillside, overlooked by the family’s ancient masia (Catalan farmhouse) and wine cellar. The tour will then walk through the vineyards and into the masia and ancient wine cellar where you’ll have get your first taste of the winery’s Cava, and experience the depth of history of the farmhouse and landscape. You’ll then visit some of the winery's 95 hectares of organic vineyards. Here, you'll hear about the traditional growing techniques, followed by a visit to the modern day cellar and production area, where you have another Cava tasting. More information on Llopart can be found here. Located close to the pine and oak hills of the Foix Natural Park, Parés Baltà is a medium-sized, family-run estate, dating back to 1790. Since the late 1970s, the estate has focused in very high quality wines, which is organic and biodynamic, and they have their own flock of sheep to fertilize the soils and beehives to encourage pollination. 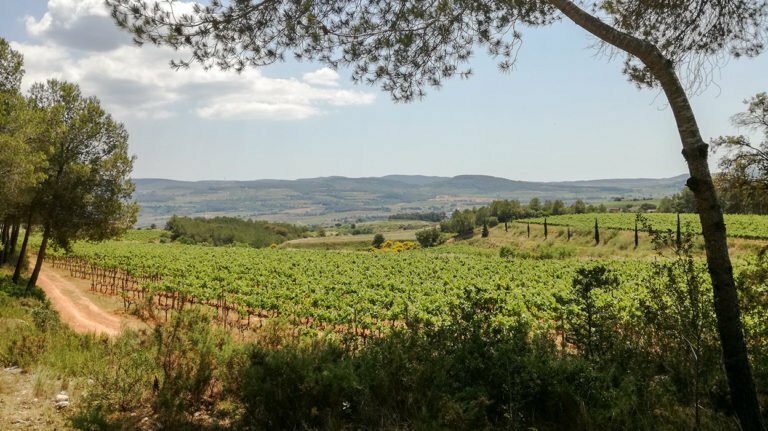 Overall, their estate comprises vineyards spread out over five estates, totalling 176 hectares of low yielding vines, where the altitude varies from 170 to 750 meters and covers a diverse mixture of soils and microclimates. Your private tour of their family estate begins in the early 20th century Noucentisme style building and its rock cut cellar below. Here, you’ll learn about the family history and the processes of wine making. The winery includes wines produced in ceramic amphoras made by local ceramicist Carles Llarch. You'll be driven in the estate’s 4X4 van up high into the hills of the Foix Natural Park, using roads that are restricted to all traffic except for special guests to the winery. 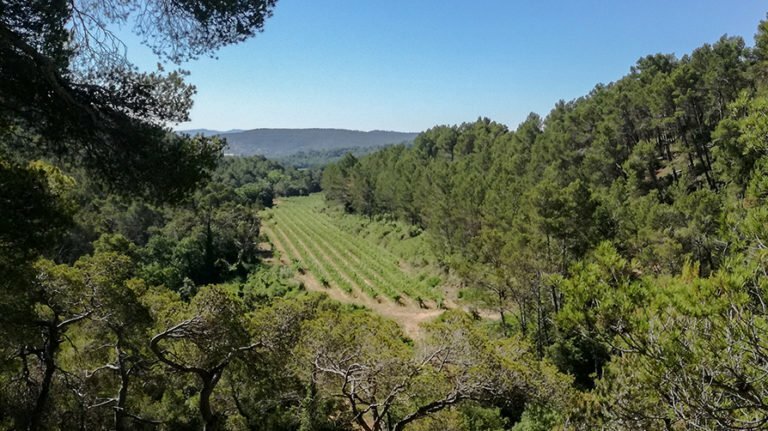 Here, nestled high in the stunning oak and pine forests of the natural park you'll visit the vineyards, as well as visiting a 2,500 year old pottery kiln used in the Iberian Iron Age. You can enjoy the tour’s wine and Cava tastings in both the cellar and amongst the estate’s vineyards, as well as on the hilltop overlooking the Penedès and the Mediterranean Sea. More information on Parés Baltà can be found here. The Albet family have been running their winery in the Subirats area of the Penedès since 1903. They took on the Can Vendrell estate that had produced wines since the Medieval period. They are proud to be one of the pioneers of organic wine cultivation in the region. Josep Maria Albet i Noya introduced organic farming in the late 1970s and eventually their entire estate of 80 hectares of vineyards became organic. As a medium-sized winery, the estate also buys in grapes from other local organic farmers. 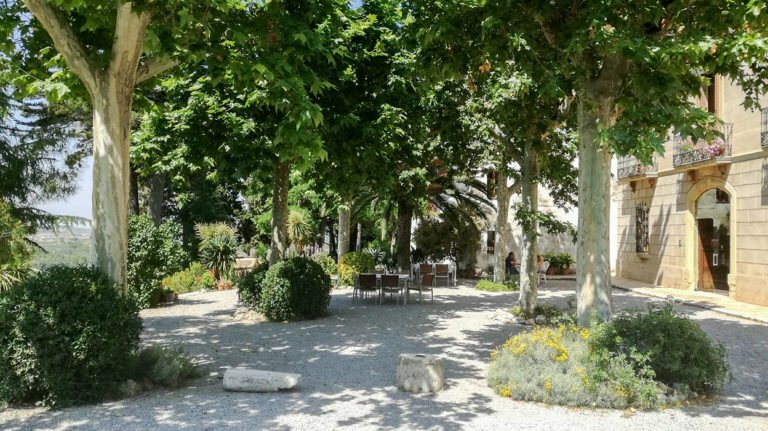 Nestled snuggly into a small sheltered valley, the Albet i Noya winery is in a stunning location and enjoying a wine and cava tasting on its terrace is a delight that no one should miss. During a private tour at Albet i Noya, you’ll learn about the family’s involvement in the wine business over the decades, with the tour starting at the family farmhouse and winery. Albet i Noya offer a variety of private tours to suit different visitors. These include visits to the vineyards on foot, Segway, electric bike, or by 4X4. For the cellar tours, they offer the classic tour where you learn about the various stage of wine making, along with tastings in the cellars. More information on Albet i Noya can be found here. Mas Comtal is a small, family-run estate, with their family history going back 600 years as farmers in the region. Set in a charming 2000 year old house, the winery sits in the historical heartland of the Penedès wine region. The Mas Comtal estate has an intimate 40 hectares of organic vineyards set in 27 different vineyards with different types of soils. These produce overall low yields of high quality grapes, that produce a wonderful variety of wines. At Mas Comtal, your private wine tour will begin in the farmhouse that is both the family home as well as the estate's beautiful tasting room, replete with ancient grinding stone and Roman era arch. Here, you’ll learn about the family’s history of wine growing in the region, along with the deep history and archaeology of the locality. From the farmhouse, you'll step out into the organic vineyards that surround the farmhouse, and learn about the organic production techniques in the vineyards, overlooking the rolling hills of the plain of Alt Penedès, with Montserrat Mountain in the background. After the vineyard, you’ll be shown the winery, where you'll see the processes and different techniques used. This includes the wine fermentation in large ceramic amphoras, which are made by local ceramicist Carles LLarch (whose studio can be visited in our archaeology of Catalan ceramics tour). For the wine and Cava tastings, you can choose from the tasting room in the family farmhouse, the charming terrace, or amongst the vineyard in the valley. More information about Mas Comtal can be found here. The Recaredo winery dates back to 1924, when Josep Mata Capellades began wine making, and building cellars right under his own home in Sant Sadurní d’Anoia, a small town long recognised in the world of Cava. The winery specialises in long-aged Cavas (reservas), including the long ageing of Xarel·lo and Macabeu grape varieties, using fermentation in oak casks. Along with using the traditional techniques of production and bottling, Recardeo pioneered the use of biodynamic agriculture with official certification by Demeter in D.O. Penedès and D.O. Cava region. The estate is just 50 hectares of low production but high quality vineyards, and all are in the River Bitlles watershed, a small river that runs north of Sant Sadurní d’Anoia. 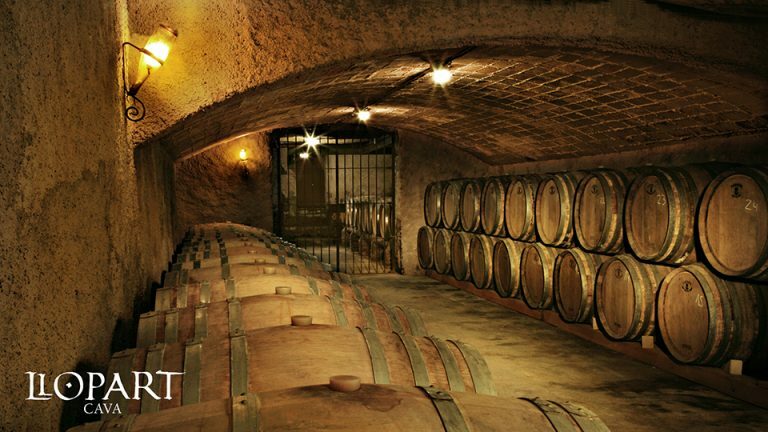 A private tour of the Recardeo winery begins in the hand cut cellars that run beneath the town of Sant Sadurní d’Anoia. Here, you’ll learn about the proud history of the family-run business, and their commitment to using traditional, manual techniques in cava production and bottling. A very special part of the tour is to talk to the artisans in the cellar while they work. They will show you how they manually process each and every bottle of Cava. To visit their hillside vineyards, you’ll be driven a short way out of the town. There, you will see their biodynamic processes at work on the vines overlooked by Montserrat Mountain. For the tastings, these can take place at both the estates cellar, as well as in the vineyards themselves. More information on Recaredo can be found here.